If you think any of the following apply to you, we’ve teamed up with industry recognised The Tax Refund Company, to provide you with a simple online tax overpayment checker. See whether you really might be due a refund. Thanks to David Malik-Davies from The Tax Refund Company for all the tax tips. If you have to wash your uniform, HMRC recognises there are costs involved and will give you an allowance to reduce the amount of tax you need to pay to help cover these costs. The amount they give depends on the industry you are in but can be as much as £1,000, which to a higher rate taxpayer could be worth £400 per year. In some industries, you may be required to provide certain parts of your uniform or protective workwear. For instance, nurses may be required to provide tights or if you work in the construction industry you might be required to provide protective footwear. If your employer doesn’t reimburse you for these costs, HMRC will provide tax relief to help cover the cost. If you have to provide tools or equipment to be able to do your job, you can claim the cost against your income. Examples of such costs would be hairdressers providing scissors, mechanics or carpenters buying their own tools, chefs providing their own knives. You will need to provide receipts or evidence of expenditure. If your job requires you to travel between different sites, or to visit clients or other businesses in the course or your work and you use your own vehicle, HMRC allows you to claim an amount towards the costs. In most cases, employers will pay a fixed amount per mile to cover the cost of fuel, service, wear & tear, insurance and depreciation. HMRC allows them to pay up to 45p per mile for the first 10,000 miles per year, and 25p per mile for any miles over 10,000. If they pay less than this, you can claim tax relief to help cover the cost. If they pay more than this however, you will have to pay extra tax. If you use public transport and the cost is not reimbursed by your employer, you can claim tax relief on the whole cost. Where your work requires you to make overnight stays, if these costs are not fully covered by your employer, you can claim tax relief. You must keep the receipts for the accommodation, food and phone calls though. In some cases, your contract of employment may require you to work from home some or all of the time. As long as you are not just choosing to work at home and you have a proper agreement with your employer, your employer can pay you up to £4 per week tax & NI free towards the extra costs. If they don’t, or they pay you less than this, you can either claim a flat rate of £4 per week tax relief towards these costs, or you can claim a proportion of the actual costs if they work out greater than £4 per week. To do this you need to keep detailed records to show how the expense was incurred and how you calculated the amount relating to you working at home. You can include the cost of gas, electric, metered water, additional insurance costs and telephone & internet. The amount must relate to the work area of your home. Costs that would have been incurred whether or not you worked from home, such as mortgage payments, water rates or council tax can’t be claimed. If you are required to pay subscriptions to a professional body or it’s helpful for your work, you can claim tax relief on the costs. They must be one of the 2,912 organisations on HMRC’s list of “approved professional organisations” in order to qualify and you can’t claim relief on life membership subscriptions. If you are a member of a Trade Union, you can also claim tax relief on some or all of the cost of your subscriptions. The amount you can claim will depend on the agreement your Union has with HMRC. If your employer has provided you with benefits, for example, a company car, gym membership, or private medical insurance, you will have received a Form P11d at the end of the tax year to show the value of these benefits. You will also have had your tax code adjusted the following year so that you pay tax on the value of these benefits. This can be a complicated area as the tax you pay is typically based on the value of these benefits in the previous year. The problem occurs when you no longer receive these benefits or the value of the benefits changes up or down. If HMRC is not made aware of this, even though your employer should have told them, your tax code will be incorrect and you will pay the wrong amount of tax. It’s especially complicated if your benefits change part way through the tax year. (The UK tax year runs from 6th April to 5th April). When you make a donation to a charity using Gift Aid, it means that the charity can claim an extra 25p for each £1 you give them. However, if you pay tax above the basic rate, you can claim the difference between the actual tax you pay and the basic rate on your donation. So for example, if you donate £50, the charity claims 25p per £1 to make your donation £62.50. If you pay 40% tax, you can claim back 20% of the £62.50, so you get £12.50 back so you donation actually cost you £37.50. If you make contributions into a personal pension your pension provider will automatically claim 20% tax relief on the contributions and add this to your pension. However, if you are a higher rate or upper rate taxpayer, you can claim tax relief equal to 20% of 25% of the contribution you paid. You can get tax relief worth up to 100% of your annual earnings but it is your responsibility to make sure that you do not get more than this. If your husband, wife or civil partner does not use up all of their personal allowance, they can choose to give you up to £1,190 of their Personal Allowance. This can reduce the tax you need to pay by up to £238 this year (2018/19). To be able to do this, they need to earn less than you and for the 2018/19 tax year, have an income of less than £11,851 and your income needs to be between £11,851 and £46,350 (£43, 430 in Scotland). The figures differ for each of the past 3 tax years but this can be backdated as far as 5th April 2015 as long as you both fit the criteria for any year you are claiming. This allowance is different to the Married Couples Allowance which only applied where you or your spouse was born before 6th April 1935. However, if you move jobs towards the end of a tax year, there’s a chance that HMRC won’t issue your employer with a new tax code before the tax year ends. Where this happens, you may have paid too much tax for that tax year. Although HMRC may pay this back to you, it’s your responsibility make sure that this happens or you will lose the money. If you leave work part way through a tax year and don’t start a new job, or you don’t start a new job until the following tax year, depending on how much you earned before you left the job, and whether you received money from any other source, you might find that you didn’t use all your personal tax free allowance for that year. This might mean that you can claim back some of the tax you paid in that year. If you have more than one job at the same time, or more than one source of income, such as a pension(s), it is very easy to pay too much tax. Each organisation paying you will be working completely independently of the other organisations and will have no knowledge of the income you receive or tax you pay through the other organisations. Normally your main employer will use your tax code and your other employer(s) / pension providers will deduct tax at 20% from your pay /pension before you receive it. This is normally fine where you earn more than £11,850 (in the 2018/19 tax year) from your main source of income. However, if you earn less than this, it’s likely that you have paid too much tax on the income you earn from the other employer(s) or pension provider(s). Although HMRC might spot this and correct the situation and send you a refund, it is ultimately up to you to ensure that this has happened in each tax year. It can go the other way if the amount you earn from all sources of income takes you into the higher tax rate band you will underpay tax, eventually receiving a tax demand from HMRC. Employers or their payroll provider rely on payroll software to calculate the tax you need to pay. It is not unheard of for this software to calculate the tax you need to pay incorrectly. The employees or payroll staff looking after your pay will not expect the tax to be wrong and therefore it is up to you to spot the problem. Although fairly rare, HMRC can make mistakes and issue the wrong code despite the fact that they have been given the correct information. However, HMRC makes you ultimately responsible for the income tax you pay, so even where they make an error, it is up to you to spot it and arrange for it to be corrected. As you’ll probably have realised, there are many reasons why you might pay too much tax, or in some cases, too little. You might also have noticed that all of these require you to do something to make sure you are only paying the tax you need to pay. Ultimately, the tax you pay is your responsibility – never rely on HMRC or your employer(s) / pension provider(s) to get it right. It is a good idea to check your tax every year, or get a professional tax expert to do it for you. If there are any mistakes, you can then get them corrected before it’s too late. 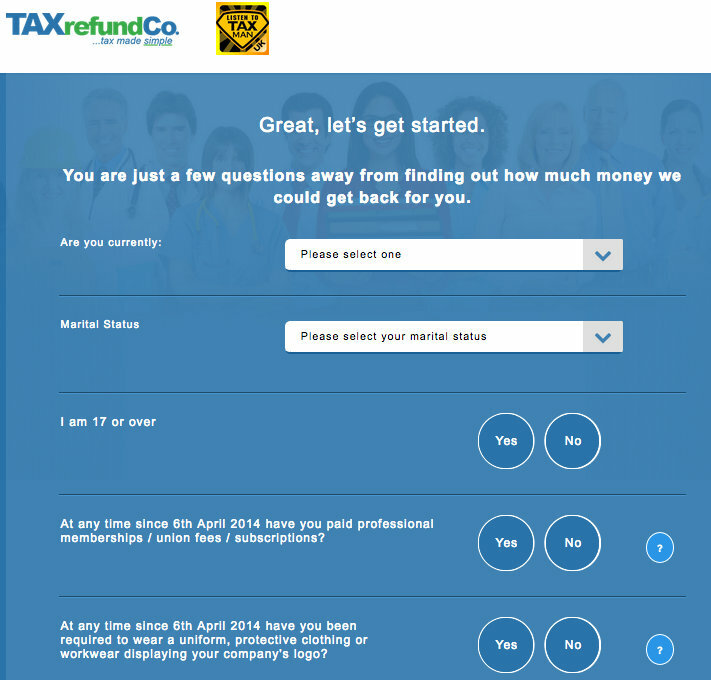 If the thought of reclaiming any overpaid tax fills you with dread, Listentotaxman has teamed up with The Tax Refund Company to offer you access to their tax-refund assessment tool. Established 22 years ago, The Tax Refund Company works with over 500 organisations, from trade unions to other professional bodies. Complete their automated assessment form, which indicates whether you may be due a refund – this only takes a couple of minutes. No personal details are needed. With a positive result, you’ll be asked a few more questions so they can help you reclaim any overpayment. 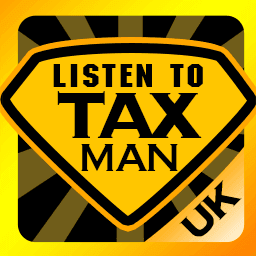 If you have any feedback or requests, please get in touch via support@listentotaxman.com. This article was published in our Guides section on 03/08/2018.